Case Study 2 - Vascular Hybrid O.R. Case Study 3 - EndoVascular Hybrid O.R. The latest news in Hybrid Operating Room Designs, Hybrid Cardiac Cath Lab Equipment, Hybrid Operating Room Construction, Hybrid Operating Room Implementations, Hybrid OR Layouts & other Hybrid O.R. Technologies. 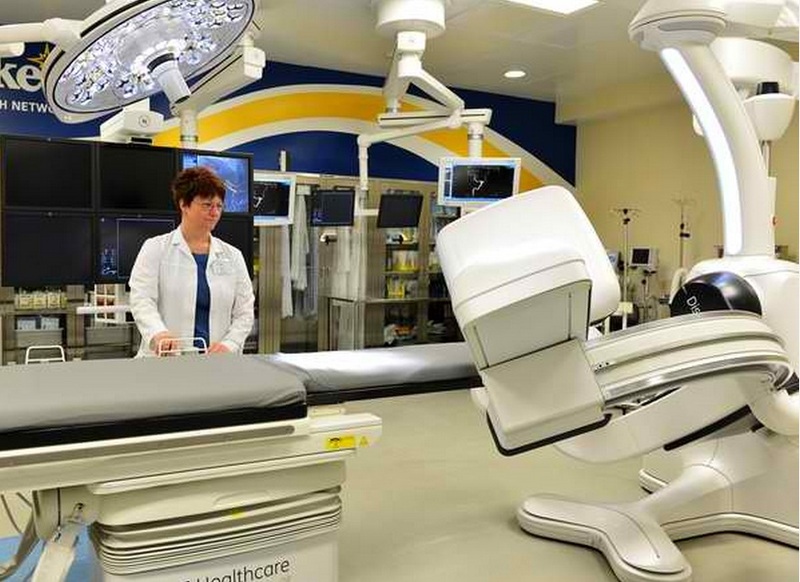 Sierra Medical Center in El Paso, TX recently unveiled the hospital's $5 million Hybrid Operating Room. This new Hybrid OR is the most expensive room in the entire hospital network. In addition, the infrastructure of the Hybrid Operating Suite is full of innovative technologies from SKYTRON. 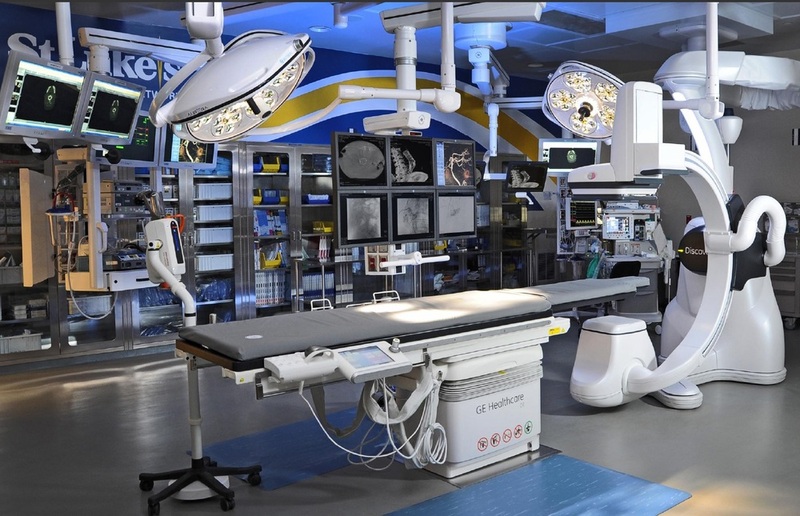 These state-of-the-art technologies include SKYTRON's new all fiber optic LINX-300 video integration system, LED surgical lights, a VACS system (Video Archive Communication System), surgical equipment booms, and a 55" High-Def digital surgical display. These advanced surgical technologies make the Sierra Medical Center's Hybrid OR one of the most well equipped and surgically advanced procedure rooms in the world. The new room at Sierra Medical Center is called a Hybrid Operating Room because it allows patients with heart and blood vessel problems to undergo tests in the same room where surgery will be performed. Dr. Mohammad Laiq Raja, an El Paso cardiologist, said the Hybrid Operating Room with the Magellan system will allow heart valves to be replaced through a small catheter rather than through open-heart surgery. It will allow elderly patients and others who can't endure open-heart surgery to have valve replacements, he said. It also will allow other heart-related procedures not possible before, he said. "In the long run, procedures will cost less to do," Lowe said. "What's good for patients is good for business." Most people associate the term “hybrid” with vehicles with two or more power sources. But the word is also being used in reference to a growing number of high-tech hospital operating rooms, including two new suites that Memorial Hospital of South Bend recently completed. Memorial invested about $7.5 million in the two hybrid operating suites that include a myriad of advanced devices and technologies for local surgical patients and the doctors and specialists treating them. The equipment in the room includes LED surgical lights from SKYTRON which will help the surgeons to visualize the surgical field better than ever before. In addition, advanced surgical equipment booms and video monitors from SKYTRON help to make the surgical procedures more efficient and safe for the patients and staff. “Other hospitals might build hybrid operating suites them in their cardiac cath lab or radiology department, but we’re the first in the area to have hybrid operating suites integrated in the operating room,” Jayne Mitton, a registered nurse and executive director of Memorial’s surgical and trauma services, said Monday. The hybrid suites eliminate the need — in most cases — to transfer patients to different areas of the hospital. Instead, patients receive all of their care in the same room, which can reduce the risk of infection and shorten hospital stays, Mitton said. The new hybrid surgical suites will allow doctors to treat stroke patients and allow surgeons to repair brain or aortic aneurysms. 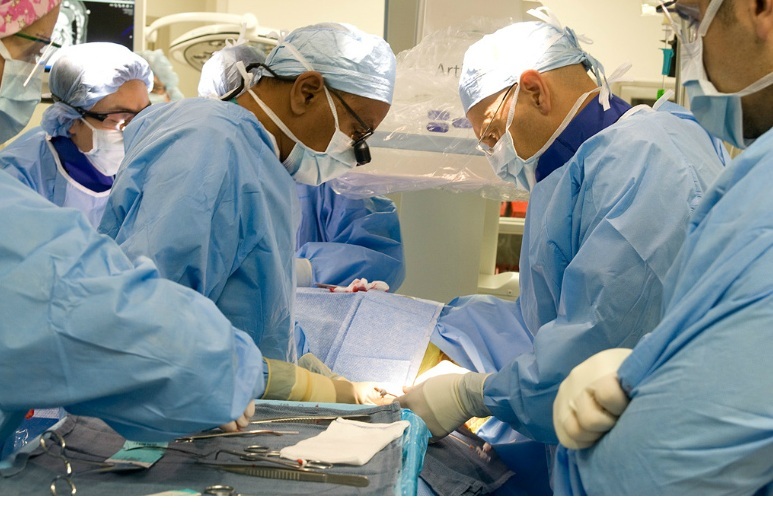 Vascular and neurological surgeries as well as cardiac catheterizations and open—heart surgery can be performed in the 1,157- and 1,205-square-foot operating rooms. The new suites are located in space the hospital had constructed in 2009 and reserved for future expansion. The rooms are at least 300 square feet larger than the required minimum size for hybrid suites in order to provide space for floor- and ceiling-mounted robotic systems that hold equipment. It has taken more than 18 months to plan for the hybrid suites. Cardiologists, cardiac surgeons, interventional radiologists, general, trauma and neurosurgeons and anesthesiologists were involved in the lengthy process, which included travel to other hospital properties to see equipment options and make decisions. The travel took hospital staff to cities including Indianapolis, Chicago, Cleveland and Denver. Equipment consultants from SKYTRON and Siemens were also integral in planning for the placements of the advanced surgical systems in the operating rooms as well. Rather than replace any existing operating rooms, the new operating suites will allow surgeons additional space to perform new and more advanced procedures, including more minimally invasive procedures, she said. 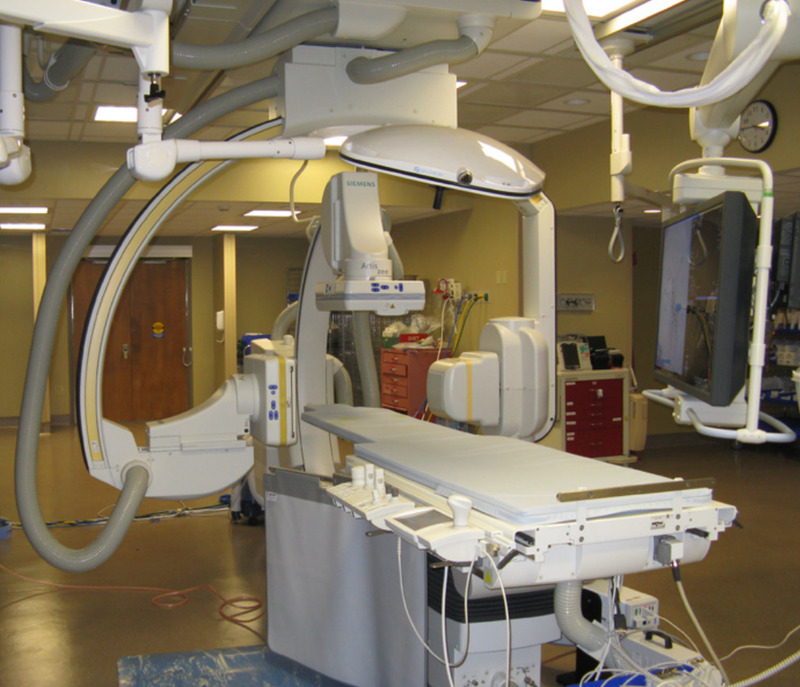 This case study chronicles Baptist Cardiac & Vascular Institute's implementation of a "Hybrid" Angiography Suite consisting of the Philips Allura Xper FD-20 imaging system technology, as well as Skytron Surgical Lighting and Ceiling Boom technology. For more than a decade, Dr. Barry T. Katzen, Medical Director of Baptist Cardiac and Vascular Institute (BCVI) in Miami, Florida, has pioneered the integration of surgical and interventional procedures. Dr. Katzen and his team continue to show that surgical procedures in an angiographic environment can be accomplished with the same degree of efficiency as in an operating room (OR). "The specialties of interventional radiology and vascular surgery bring more to each other when we work together," suggests Dr. Katzen. "Procedures that help drive this relationship include aneurysms of the thoracic aorta and abdominal aorta. Having an environment where we can use a surgical option allows us to think out of the box for individualized patient solutions." In 2008, Philips Healthcare and SKYTRON entered into a collaborative agreement to provide comprehensive, integrated solutions for the cardiovascular environment. Dr. Katzen seized the opportunity to refine the surroundings. Based on a well-coordinated plan from Philips and Skytron, Room Two underwent a significant upgrade aimed at enhancing hybrid functionality. One of the great advantages of the new room design is it's so spacious that we can all operate and function very effectively without being in each other's way. Information can be transferred to the head of the bed—to the anesthesiologist— down to where we're working very easily," explained Dr. James F. Benenati, Medical Director of the Peripheral Vascular Laboratory. Up and operational, the redesigned room is running smoothly. Surgical lighting and anesthesia boom technologies provided by Skytron not only aid clinicians procedurally, but have helped clear the room - opening the floor for easy access to the patient. Also, the quality of lighting now meets the tough standards of the surgical team. High intensity LED lights from Skytron can be finely positioned for critical tasks. Surgical visualization is supported by a multipurpose flat-screen monitor that hangs from a ceiling boom. This new addition assists in two ways. First, it can be positioned to allow the clinicians working on the opposite side of the table to see what's going on fluoroscopically. When that is not required, the monitor is made available to other allied health personnel to chart and track ongoing procedures. “We’re a busy lab and taking a room down for a period of time is always an inconvenience,” says Katzen. “The one thing everybody remarked upon was how fast this upgrade was accomplished.” In two and a half weeks, Philips and Skytron, working closely with the implementation team at BCVI, completed the staging and upgrade. The new room reflected the input of interventional radiologists, surgeons and anesthesiologists, with each group helping to define the clinical specifications to make it a multi-disciplinary environment. Room Two at BVCI now stands as one of the most advanced Hybrid Angiography Suites in the country. Drs. Katzen and Benenati and their surgical colleagues continue to break new ground in minimally-invasive cardiovascular care. Katzen concludes, "The partnership between Skytron & Philips provides us with the kind of support we need to get the job done." For more information about this Case Study or the equipment included in this Hybrid Angiography Suite, please CONTACT US. A strategic partnership between SKYTRON and GE Healthcare has resulted in the first installation in the world of the new GE Discovery IGS 730 robotic imaging system for hybrid operating rooms. Surgeons at St. Luke's University Hospital in Bethlehem, Pennsylvania, where this new Hybrid Operating Theater is now installed, also played a large role in the design and development of the new robotic imaging system over the past few years. Through a culmination of many years of development and the coordination of many individuals and organizations, a state-of-the-art surgical environment has come to life. The new mobile robotic technology of the GE Discovery IGS 730 is a true innovation that will allow surgeons to conduct complex minimally invasive hybrid procedures in a secure setting. With this technology surgeons are able to treat 'high risk' patients unfit for open surgery. It will allow performing complex minimally-invasive endovascular and percutaneous procedures on inoperable patients suffering from cardiovascular pathologies such as ruptured aorta aneurysms, fainting spells or cerebrovascular accidents. In addition, the majority of patients receiving care in the new hybrid operating suite will have a reduced hospital stay and a quick return to normal activity. In addition, in terms of mobility/patient access and the ergonomics of the operating room, this is a huge step forward. One of major advantages of this new high-tech environment is that the hybrid operating room allows both open surgery and catheter-based imaging therapies to take place in the same operating room. The hybrid OR enables multiple physicians (surgeons, Interventionalist, nurses, anaesthesiologists, and technicians) to perform a new spectrum of minimally invasive therapies with the goal of ultimately enabling better patient care. These complex minimally-invasive endovascular and percutaneous procedures will allow discharging patients much faster (five days in comparison to an average of 10 days) and reduce patient rehabilitation. The Discovery IGS 730 is a laser-guided, mobile gantry, a first-of-its kind in interventional imaging. The system is neither floor nor ceiling mounted and enables full patient access, creating an interventional environment without boundaries. It has the mobility of a C-arm with the power and image quality of a fixed system, allowing multiple parking possibilities, while helping maintain sterility for a flexible and secure OR environment. It is intended for oncology (hepatic and bone tumors), neurology (aneurysms and brain tumors), as well as cardiovascular patients (stent appositions). The GE Discovery IGS 730 is the only x-ray angiographic medical imaging system with such mobility in the world. The operating table from GE Healthcare is ergonomically designed to provide easy access to the patient and to surgical tools. Mounted on ceiling mounted booms from Skytron, large HD flat-screen monitors provide doctors immediate access to a patient's records and images. Also mounted from the ceiling are medical gases and medical data integration wiring that runs through additional booms provided by Skytron. The surgeons at St. Luke's are very excited about this new technology that will make for a freer, more flexible work environment due fully mobile technology, unlike older operating rooms with devices fixed to the floor or ceiling. Hybrid Heart Suite featuring the Toshiba Medical Infinix Angiography system. The room is completed with Skytron LED Surgical Lights and Skytron Ergon-II Equipment Booms. 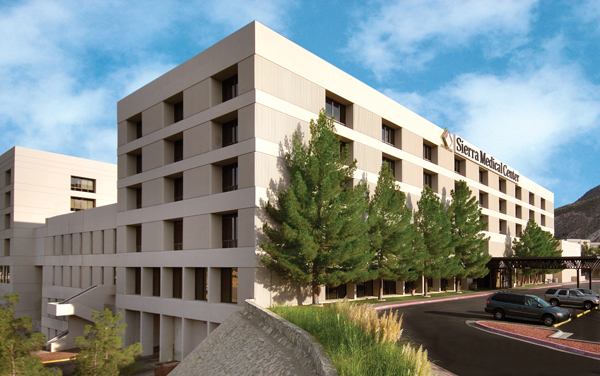 In October 2012, St. Bernadine Medical Center opened its new Endovascular Hybrid Surgical Suite — the first true Hybrid Suite in the California Inland Empire equipped with Toshiba’s Medical Infinix imaging system, the most advanced technology available. After nearly two years of planning, preparation and fundraising, SBMC’s long-anticipated state-of-the-art Inland Empire Heart & Vascular Institute’s (IEH&VI) 'Hybrid Heart Suite' opened its doors. The new suite, which will serve as both a catheterization lab and OR suite, will expand the IEH&VI’s ability to provide high-level cardiac patient care and increases the number of patients the hospital can treat for a wide array of procedures and surgeries. According to Institute Director Ed Langdon, the multi-use suite will treat approximately five-to seven patients each day and will be available for cardiologists, cardiac surgeons, neurologists and orthopedic surgeons to provide a wide array of procedures and surgeries. 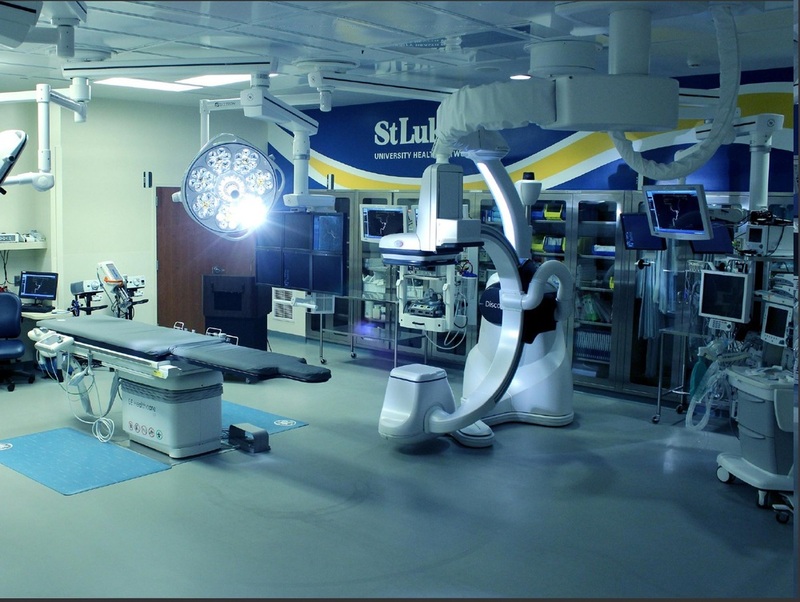 The room is completed with supporting operating room equipment from Skytron. This surgical equipment includes the Skytron Aurora-II LED Surgical Lights and the Skytron Ergon-II Ceiling Supply Equipment Booms. Hybrid Cardiac Suite featuring the Toshiba Medical Infinix imaging system. The room is completed with Skytron LED Surgical Lights and Skytron Ergon-II Equipment Booms. St. Bernardine Medical Center’s Inland Empire Heart & Vascular Institute, the area’s largest cardiac program, has received national recognition for the quality of care delivered to its patients. Recently Healthgrades released its 2013 Quality Ratings. St. Bernardine was rated a five-star recipient for coronary bypass surgery and one of America’s 100 Best Specialty Care hospitals for cardiac surgery. Earlier this year, St. Bernardine was rated by The Delta Group, the nation’s largest privately-held health care information services company, as No.1 in California for major cardiac surgery, and No.2 in California for coronary bypass surgery. View of the Control Room of the Hybrid Cardiac Lab. The surgical theater is created with Skytron surgical lights and surgical booms that work in conjunction with the Toshiba Infinix hybrid imaging system. To better serve its heart patients, Children's Hospital & Medical Center has converted its existing heart catheterization lab into a hybrid surgical suite equipped for heart catheterization procedures, as well as an operating room designed to full operating room standards and capabilities. This is one of the few hybrid cardiac catheterization labs in the country specifically built in a pediatric setting. This state-of-the-art catheterization lab combines the sophisticated technology required for cardiac catheterizations with the most advanced surgical equipment to allow physicians to perform both cardiac catheterization and cardiac surgery procedures individually or simultaneously in the same surgical suite without moving the patient. In some cases, the need for combined surgical intervention during catheterization is planned. In other cases, the need for surgery is not discovered until during the catheterization procedure. This hybrid catheterization lab allows teams of clinicians that specialize in catheterizations, interventional cardiology and surgery to work side-by-side in the same suite without ever moving the patient. This provides less risk to the patient, improved outcomes and shortened procedure times. 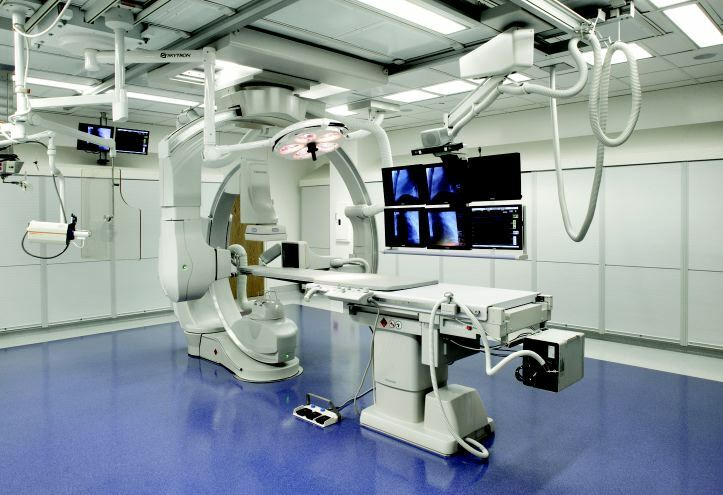 The sophisticated yet intelligently planned hybrid room design allows clinicians and staff to convert the room from a cardiac catheterization procedure to a cardiac surgery procedure in a matter of minutes. The new, state-of-the art Hybrid Pediatric Cath Lab is designed with advanced equipment technologies from SKYTRON including ceiling mounted surgical lights, surgical monitors, and anesthesia gas columns. The combination of this infrastructure equipment in the Hybrid Suite increases patient safety as it enables the medical team to transition swiftly into surgical mode without having to move the patient and without having to wait for a surgical suite to become available. The fully digital, bi-plane, flat-screen technology in the new catheterization lab provides a high-definition image of the patient's heart, enhancing both diagnostic and interventional outcomes. This imaging technology equipment, including the bi-plane c-arm and imaging table, is provided my Toshiba Medical Systems. The new hybrid lab opened October 10, 2011. With its opening, Children's became one of only two hospitals in the country with the technology, specialists and intensive care backup needed to do these hybrid surgeries on the tiniest of hearts. According to Millennium Research Group (MRG), the global authority on medical technology market intelligence, the saturated United States X-ray market will grow slowly, to reach a value of $2.8 billion by 2016. Significant growth will be seen in digital replacement systems in all segments of the market. 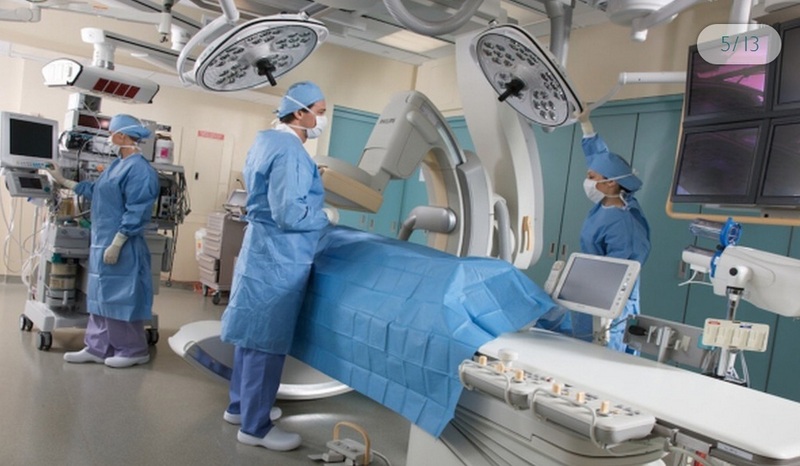 The continued trend toward minimally invasive surgical procedures will lead to increased demand for both diagnostic and interventional X-ray systems, affecting every segment of the X-ray market through 2016. This will lead to particularly high growth in the hybrid operating room (OR) segment. 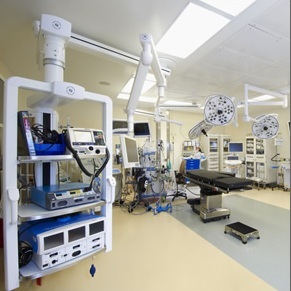 Hybrid ORs are multi-procedural rooms that function as both a regular OR as well as an interventional suite, consolidating services and procedures. Demand for these systems will be driven by the increasing prevalence of transcatheter aortic valve replacement (TAVR) procedures, as well as by a desire to increase the efficiency of existing procedures. The combination of high demand with small installed base will lead to significant growth. The number of system sales will increase at nearly 20 percent per year through 2016. The X-ray systems purchased for hybrid ORs also tend to be more capable and expensive, being equipped with larger detectors, 3-D imaging, dose management packages and large displays. Memorial Medical Center in Modesto announced recently that it as begun treating patients in a new hybrid operating room. Hybrid Operating Room with Skytron Equipment Booms, Skytron Surgical Lights, & Siemens Zeego Imaging system. The Hybrid Operating Room was designed in part by the Hybrid Operating Room Consultants at J.M. Keckler Medical Company. Their experienced Project Management team helped to coordinate the equipment selection and equipment installation. Ongoing efforts by J.M. Keckler Medical Company include workflow optimization and equipment use in-services. 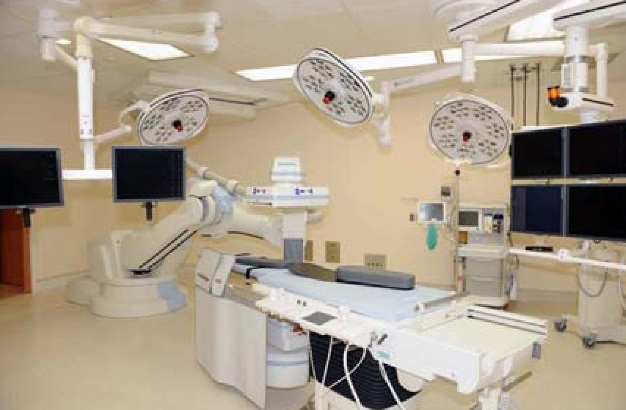 The state-of-the-art Hybrid Operating Room utilizes several equipment components from Skytron, supplied through J.M. Keckler Medical Company. The equipment includes ceiling mounted Skytron surgical lights, ceiling mounted surgical equipment booms, ceiling mounted anesthesia booms, a Skytron SolidCare nurse documentation center, Skytron HD surgical displays, and Skytron's SkyVision H-II video integration system. The floor mounted 'Zeego' imaging system and the imaging table are both supplied by Siemens Healthcare. 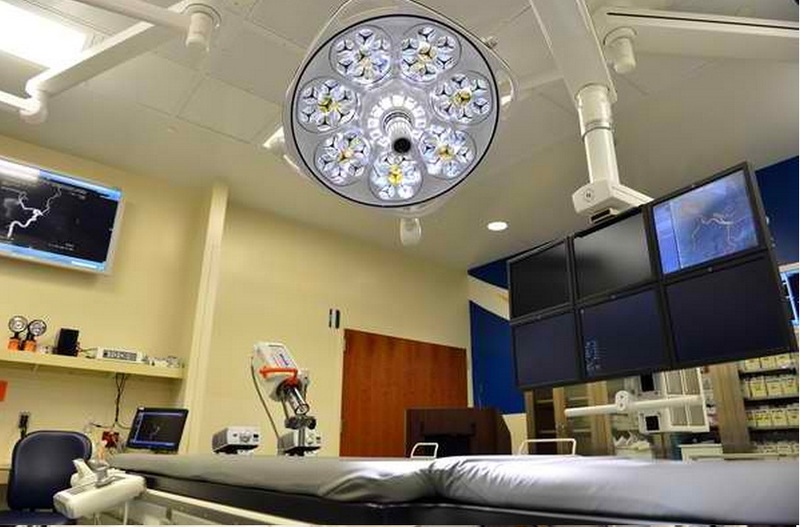 The only environment of its kind in Connecticut, combines two surgical procedures into one (Hartford, Conn.) – Hartford Hospital has unveiled a new operating room – known as the Hybrid Operating Room – that will significantly transform patient care. The hybrid operating room allows physicians to diagnose and treat patients in one setting, resulting in safer, more precise and more efficient patient care. 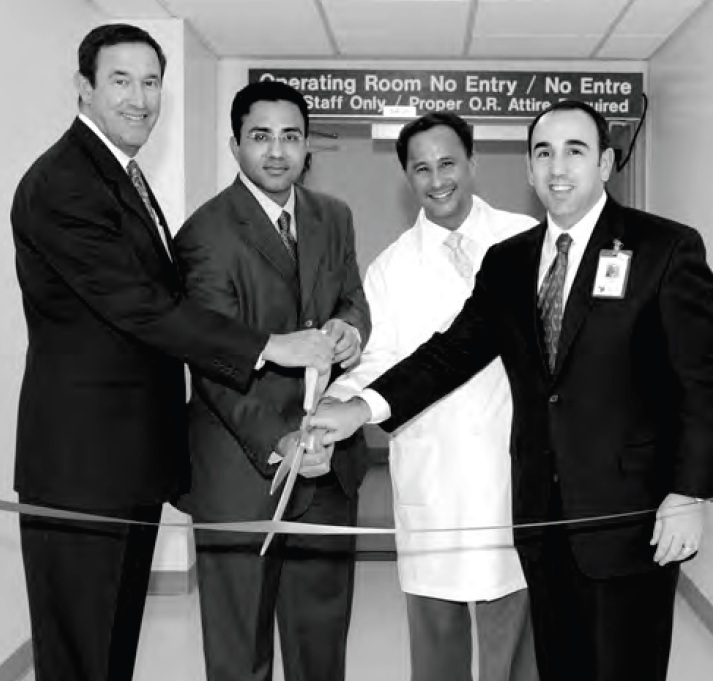 The hybrid operating room is the second of its kind in New England and the only one in Connecticut. In traditional environments, patients with suspected blocked or enlarged arteries undergo several procedures to diagnose and treat their conditions, requiring frequent trips to the hospital over time. The hybrid operating room means physicians can instantly identify vascular issues, analyze 3D images and immediately treat patients in one spot – without ever leaving the operating room. The hybrid operating room will radically change how the hospital diagnoses and treat patients with complex vascular problems. The advanced technology provides detailed images, helping physicians diagnose and instantly treat patients with minimally-invasive procedures. The hybrid operating room is also equipped for emergency situations, enabling open surgery to take place if necessary. The hybrid operating room includes the new Siemens Artis Zeego, a system derived from robotic technology that allows physicians to capture images in traditionally challenging areas. It provides sharply detailed images for interventional procedures and offers 3D imaging to help clinical decision-making. 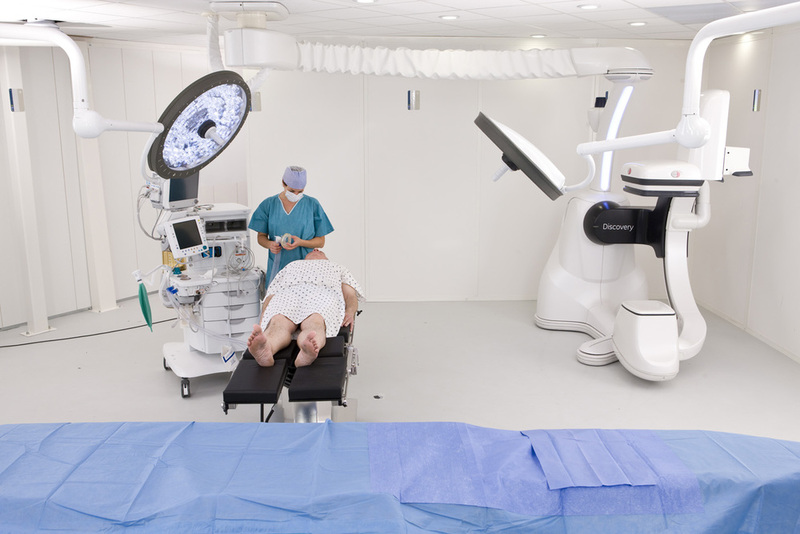 This advanced surgical suite also combines ceiling mounted equipment from SKYTRON. This equipment is not typically found in a standard Cath Lab, but would be in an operating room. The LED Surgical Lights, ceiling mounted HD Surgical Monitors, and ceiling supply booms for medical gas and data outlets all work in concert with the Zeego imaging system to make this complex 'hybrid' surgical environment. The hybrid operating room will be used for elective and emergency vascular procedures, most of which can be performed using minimally-invasive techniques. These techniques reduce the risks of the surgery, and result in a shorter hospital stay and shorter recovery period. The hybrid operating room is a reality at Hartford Hospital because of the contributions of many generous departments and individuals. 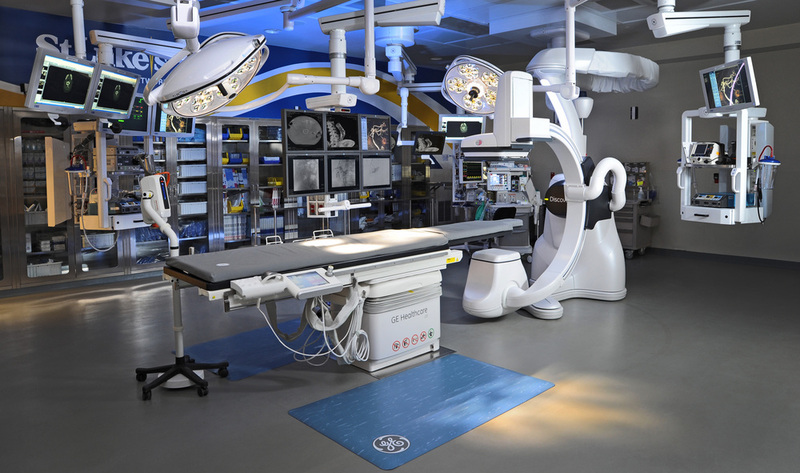 The hybrid operating room, the first of its kind in Connecticut, is unveiled at Hartford Hospital. It allows physicians to combine two surgical procedures into one, resulting in safer, more precise and more efficient patient care. 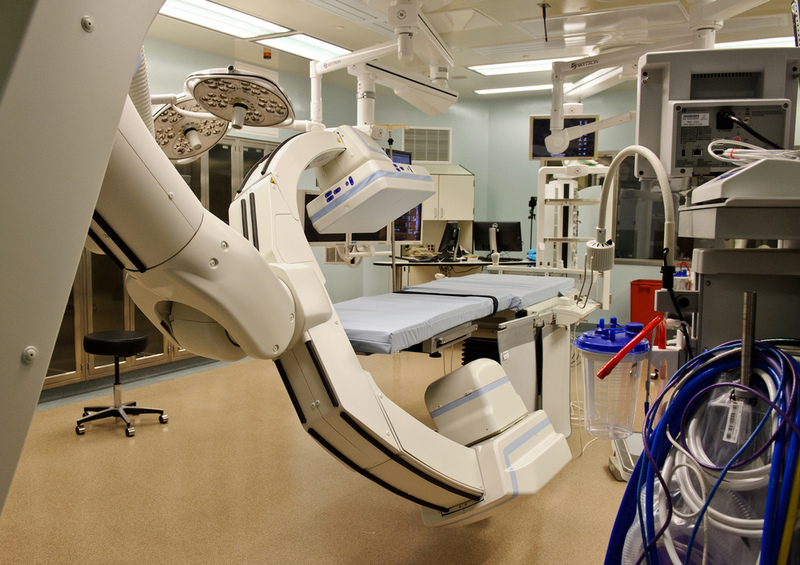 What do you get when you combine a surgical operating room with a fully equipped Cath Lab? The state-of-the art Hybrid Operating Room (OR) at St.Vincent Heart Center of Indiana. 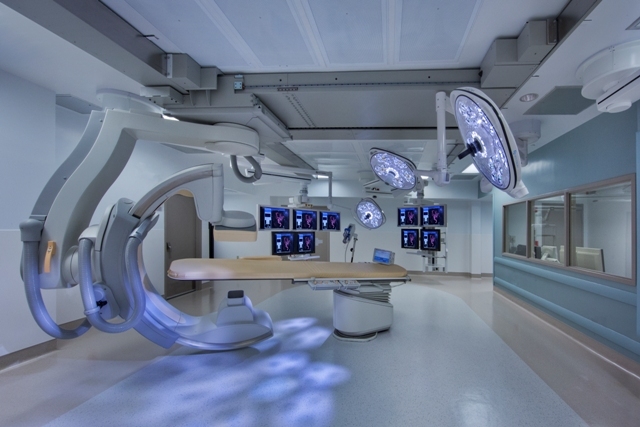 This advanced surgical theater combines technologies from both Skytron and Siemens. The LED surgical lights, the medical gas booms, the equipment carrier booms, and the surgical monitors all came from Skytron. The Zeego imaging system and the imaging table are technologies provided by Siemens Healthcare. Instead of treating valvular disease either with open-heart surgery, or staging procedures several weeks apart, they can now be accomplished at the same time. And this means lower risk and shorter recovery times for patients requiring bypass surgery. The Hybrid OR is also ideal for endograft and peripheral vascular procedures among others. But most important, the Hybrid OR provides an ideal setting for St.Vincent Heart Center cardiologists and surgeons to work side-by-side — collaborating for the best outcomes for patients. The recent addition of a hybrid operating room has expanded St. Vincent's open heart surgery capabilities. This advanced operating suite allows interventional cardiologists to perform percutaneous coronary interventions in conjunction with surgeons performing open heart procedures. The Heart Institute of Florida at North Shore Medical Center FMC Campus Continues its Tradition of Excellence with Opening of New Valve Clinic and Hybrid Operating Suite. Hybrid Operating Room with Philips FlexMove Imaging System. Also included in the design are Skytron boom-mounted high-definition monitors, LED Surgical lights, and Anesthesia equipment booms. The Heart Institute of Florida at North Shore Medical Center FMC Campus recently opened an expansion of its cardiac services with its new Valve Clinic and Hybrid Operating Suite. The 1,416 square feet hybrid operating suite allows for cardiovascular surgeons and cardiologists to work together to perform open and/or catheter-based procedures in the same operating room. This room compliments the new Valve Clinic, which is a destination for the treatment of advanced heart valve disease. Heart disease is one our nation’s most common health problems – the leading cause of death for Americans age 35 and older; therefore, introducing advancements in the medical technology used to diagnose and treat this condition is more critical than ever before at FMC Campus, one of the area’s leading heart hospitals. The Valve Clinic will evaluate and treat complex heart valve disorders with a multidisciplinary approach, as interventional cardiologists and cardiovascular surgeons work together to determine the best course of treatment for each patient, whether it is traditional surgery or less invasive techniques. allows physicians to more efficiently and accurately prescribe and deliver the most appropriate treatment plan for patients. Some of the Clinic’s cardiac procedures will be performed in FMC Campus’s advanced cardiac Hybrid Operating Suite. The state-of-the-art operating room/catheterization lab houses all the equipment and monitoring devices necessary to perform a range of heart procedures, from minimally invasive catheterization to open-heart surgeries. Specifically, FMC Campus will use the Allura Xper FD20 X-ray system from Philips. This fully digital system enables physicians to capture and view detailed 3D images of a patient’s cardiac vasculature, thereby facilitating faster and more accurate diagnosis and treatment of cardiac disease. Also important, the Allura system exposes patients to less radiation during the actual procedures than many other available systems. This digital imaging equipment is combined with ceiling mounted equipment from Skytron which includes LED Surgical Lights, medical gas and data ports, and audio/video integration for the HD surgical monitors. Sentara Norfolk General Hospital has opened a new high-tech operating room with the latest technology that is saving and improving lives of people with vascular disease. 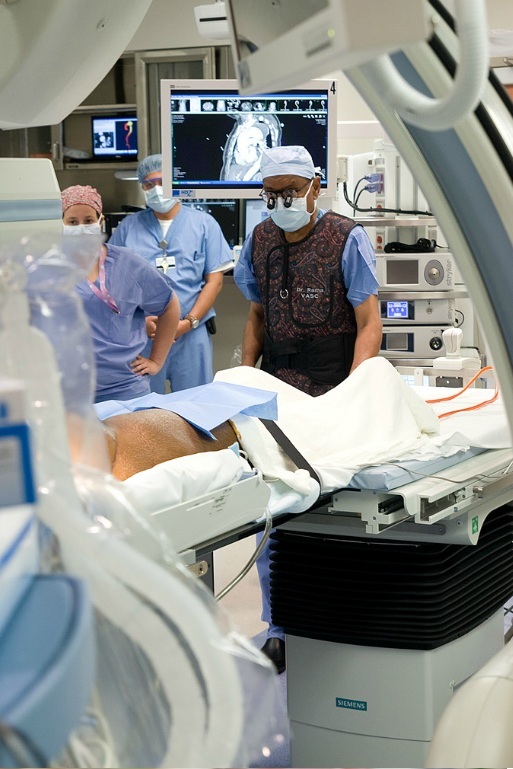 This Hybrid Vascular OR (operating room) is the first of its kind in southeast Virginia. Surgeons and Cardiologists at Sentara Heart Hospital are first to begin enrolling and performing trial cases in the AtriCure DEEP AF feasibility trial. The first procedure in the country was performed in a new, state-of-the-art hybrid operating room at Sentara Heart Hospital. “Hybrid” simply means combining different components together. That’s the concept for developing the Hybrid Vascular OR. Advanced imaging equipment is combined with the technology used for less invasive vascular procedures and the surgical technology required for more invasive, open surgeries to create one operating room where vascular surgeons can perform the full range of vascular treatments – from simple to complex. This uniquely designed operating room is much larger than most. The fully-equipped sterile operating room coupled with the skills of the board certified fellowship-trained vascular surgeons and the vascular-trained technicians and nurses, makes it possible for a seamless conversion from a minimally invasive procedure to an open surgery, should the need arise. The Hybrid Vascular OR offers lifesaving advantages for people suffering with vascular disease. The hybrid surgical environemnt allows cardiac surgeons to work more collaboratively with cardiologists, in real time, to offer the greatest depth and breadth of cardiac services in one location. High resolution X-ray and CT imaging gives vascular surgeons the ability to see in unprecedented detail what needs to be repaired. The Hybrid Vascular Operating Room is equipped the latest advanced technologies such as the Philips FD20 CT systems and ceiling mounted LED Surgical Lights and Equipment Booms from Skytron. The DEEP AF trial, which received approval from the Food and Drug Administration in September 2010, is designed to evaluate the safety and efficacy of a dual epicardial/endocardial procedure (DEEP), or hybrid procedure, to treat atrial fibrillation patients with persistent and long-standing persistent atrial fibrillation. Sentara Heart Hospital is one of only six national centers awarded participation in this pivotal trial. Other medical centers included are Stanford Medical Center, Vanderbilt Heart Institute, University of Virginia, Texas Heart and Baylor. Southside Hospital in Bay Shore recently opened a new $7 million hybrid operating room that will handle the most complex cases, adding to the hospital's growing roster of cardiac services. 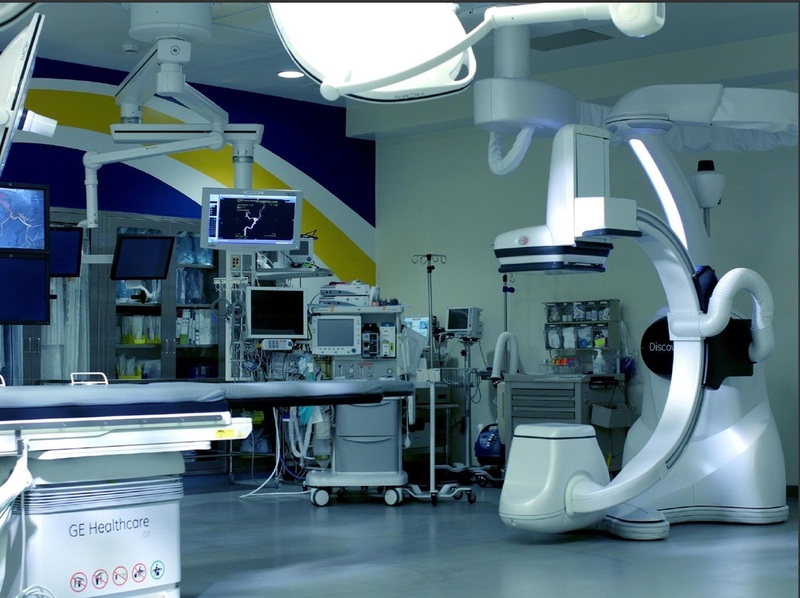 This Hybrid Operating Room incorporates the Siemens Zeego floor-mounted Angiography system with ceiling mounted equipment booms and surgical lights from SKYTRON. This advanced surgical theater also combines a series of cameras that allows for teleconferencing so that a specialist can see whats happening and assist from anywhere in the world. The camera and video integration system is the Hybrid-II OR Integration system by SKYTRON. The Zeego by Siemens system provides real-time three-dimensional imaging -- the equivalent of an instantaneous computed tomography (CT) scan, which aids physicians in their diagnoses and treatment of cardiac, vascular and thoracic disease. Southside has further enhanced its cardiac capabilities with the opening of this state-of-the-art hybrid operating room (OR). The hybrid OR allows complex cases, which may require a combination of procedures from multiple specialists, to be completed in a single operating room. The hybrid OR consists of a full complement of equipment that equals or exceeds a cardiac catheterization lab and general operating room combined. The hybrid name reflects the ability to use the room as an interventional suite, operating room, or both. Any conceivable procedure can be performed here which is a benefit to both physician and patient. The ability to integrate the services of cardiac surgery, vascular surgery, complex endovascular trauma and interventional cardiology will provide unique opportunities for multiple physicians to collaborate in the care of our patients. Percutaneous aortic valve replacement - one of the procedures commonly performed in hybrid ORs - is an example of how the model works. If needed, the room can immediately shift into a fully equipped cardiac operating room so cardiac surgery can be performed. The patient does not need to be moved to a separate operating room and any issues can be addressed immediately. For physicians, the hybrid OR is the latest advanced technology which allows for improved imaging, greater clinical options and better quality care for complex cases. Mercy Hospital of Buffalo continues to forge into the future of healthcare by becoming the first hospital in the Buffalo, New York region to introduce a “hybrid” operating room (OR) featuring the Siemens Artis Zee biplane imaging system and Skytron's LED Surgical Lights. These new technologies expand the hospital’s diagnostic and treatment capabilities for Vascular and Neurovascular conditions, including stroke, aneurysms and peripheral vascular disease. The biplane imaging system provides physicians with high-definition images of blood vessels and soft tissue, such as brain tissue, enabling them to obtain live, 3-D views of the patient’s anatomy from any direction. The LED technology in the overhead surgical lights provide much improved visuals for the surgeons and anesthesiologists. If necessary, the hybrid OR allows the clinical team to shift from a diagnostic or interventional procedure to open surgery almost immediately, saving valuable time and eliminating the need to transfer the patient to another operating room. The biplane imaging system features two advanced x-ray detectors that provide high-resolution images without distortion common with conventional x-ray techniques. This enables physicians to visualize interventional devices, such as guide wires, in precise detail from almost every angle. This state-of-the-art hybrid surgical technology expands minimally invasive treatment options and helps patients achieve faster recoveries without the discomfort associated with traditional surgery. The imaging equipment provides high resolution images that help guide placement of tiny catheters into the aneurysm. The high definition image quality enables safe filling of the aneurysm without opening the skull. In addition, 3D high definition of the blood vessels in the brain guide all minimally invasive blood vessel repairs. Biplane imaging improves treatment for peripheral artery disease (PAD) by reconstructing the artery so the blockage is clearly visible. The software found in the biplane imaging system creates detailed images of soft tissue similar to those generated by computed tomography (CT). 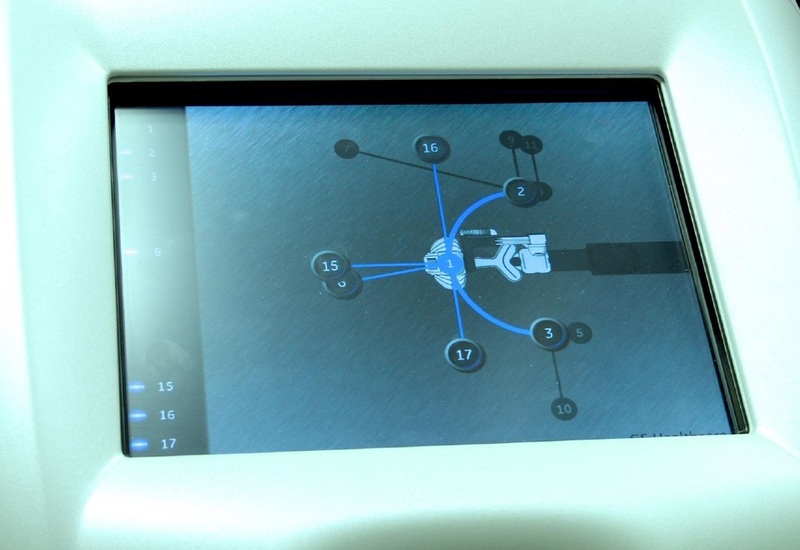 Subsequently, this tool can save critical time by providing highly detailed anatomical images directly in the hybrid OR, reducing the need to move a patient for a diagnostic imaging study prior to the interventional procedure. Valuable time is also saved by eliminating the need to transfer the patient to an OR if open surgery is needed. The well planned room design provides the ability to convert the interventional room to an operating room in a matter of minutes. The comfort, convenience and time savings by not having to transfer patients to different rooms for a diagnostic procedure or open surgery elevates the care that Mercy Hospital of Buffalo can offer. 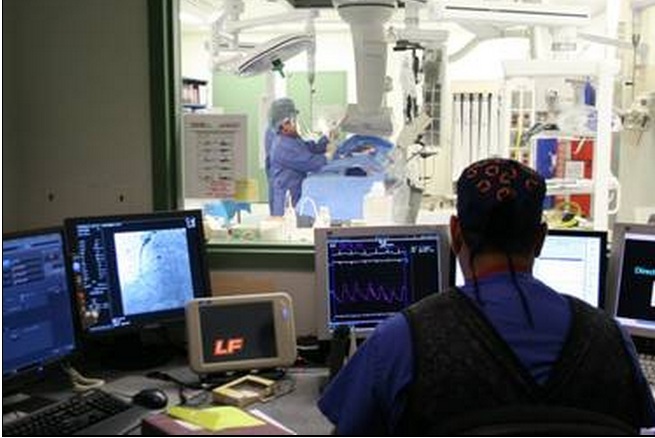 The Oklahoma Heart Institute at Hillcrest Medical Center opened the first and only dedicated hybrid cardiac cath lab in the region in May 2012. This hybrid lab allows for seamless integration of a traditional catheterization lab and cardiac operating room to provide multidisciplinary, collaborative care. Physicians can perform advanced procedures that would otherwise not be possible. The Hybrid Lab wasn't designed with state-of-the-art equipment from Skytron and Philips. On Wednesday, May 2, a team of Oklahoma Heart Institute (OHI) physicians performed the first successful transcatheter aortic valve replacement (TAVR) in Tulsa. TAVR is a minimally invasive, life-saving procedure for patients with aortic stenosis who would be considered too high a risk for traditional open heart procedures. Aortic stenosis affects the aortic valve. In late stages of the disease, the valve does not properly open and close, causing the heart to work harder to push blood through the calcified aortic valve. Eventually, the heart's muscles weaken, increasing the patient's risk of heart failure and death. During this groundbreaking procedure, the Edwards SAPIEN Transcatheter Heart Valve, approved by the U.S. Food and Drug Administration (FDA) in November 2011, was used to replace the patient's failing heart valve through catheters placed in the femoral (groin) artery. The transcatheter aortic valve replacement was performed in Oklahoma Heart Institute’s newly constructed hybrid cardiac catherization lab, designed especially for performing complex heart procedures. "Oklahoma Heart Institute has joined an elite group of hospitals offering the TAVR procedure," said Dr. Kamran Muhammad. "At OHI, our mission is to provide cutting-edge, high-quality cardiovascular care to our patients and TAVR is another example of our commitment to this mission." OHI is the first hospital in Tulsa, and the second in Oklahoma, to offer TAVR. For more information on transcatheter aortic valve replacement, visit www.edwards.com. To learn more about Oklahoma Heart Institute, please visit www.oklahomaheart.com. Led by some of the country's most respected and skilled cardiovascular physicians, nurses, clinicians and researchers, St. John Providence Health System provides cardiovascular care that is unmatched. The physicians are on the forefront of cardiovascular research, including two new studies offered at only a select few centers nationally. They include the Medtronic Core Valve study for aortic stenosis and the Simplicity study for resistant hypertension. In 2011, the St. John Providence Heart and Vascular Center of Excellence will launch the Gretchen C. Valade Cardiovascular Hybrid Laboratory and Minimally Invasive Structural Heart Program which will include an integrated (hybrid) operating room and cardiac cath lab, the state’s first, which will allow them to provide the latest transcatheter valve therapies, which integrate surgical procedures with skin incisions and intervention. The lab will offer fixed imaging systems dedicated to the latest advances in minimally invasive cardiovascular interventions. This equipment can deliver better visualization of the blood vessels with lower doses of radiation meaning greater accuracy and less risk to both patients and clinical staff. In addition, because the hybrid lab does not rely on portable equipment, and will facilitate the use of minimally invasive, rather than open, procedures, the risk of infection is also reduced. The hybrid operating room will also have great potential for select rhythm disorders, endovascular valve repair, and other advanced procedures. The hybrid operating room and cardiac cath lab, one of just a few in the country, will be able to offer our patients the full spectrum of treatments of complex and high-risk procedures. In many cases, offering a treatment alternative to very high-risk patients who may have been told that they have no options. The Cardiovascular Hybrid Surgical Laboratory at St. John Hospital and Medical Center will anchor the hospital's Minimally Invasive Structural Heart Program at SJH&MC. The laboratory will be used to perform the most advanced non-surgical and minimally invasive surgical cardiovascular procedures. These procedures include small incision, minimally invasive aortic valve replacement surgery and percutaneous mitral valve repair and percutaneous aortic valve replacement. The Hybrid O.R.at University Hospital in Missouri is a state-of-the-art surgical suite which combines the functions of a catheterization lab with the surgical functions of an operating room. This Hybrid Operating Room allows the surgeons and cardiologists to perform both open and minimally invasive procedures in the same room. This allows patients to be treated at one time without needing to schedule multiple procedures, and helps assure they benefit from the collaborative talents of our health care team. This Hybrid surgical suite combines SKYTRON surgical lights, SKYTRON equipment booms, SKYTRON Anesthesia booms, and an floor-mounted Zeego angiography system from Siemens Healthcare. St. Rita's Medical Center in Lima, OH supports a wide variety of surgical specialties in their 12 Operating Rooms. After an intense evaluation process, the surgical staff chose SKYTRON as their sole source vendor Surgical Lights, Surgical Tables, & Video Integration. A video overview and interview with St. Rita's staff can be found in the below video interview. The global market for integrating more technology into surgical suites is expected to grow to $3.1 billion in 2018, up from $1.86 billion in 2011, according to a market study from GlobalData. The efficiencies gained by operating-room solutions allow hospitals to schedule more surgeries, thereby increasing revenue, according to a GlobalData announcement, "Operating Room Solutions Market - An Overview." The report says hospitals also save money by trimming OR support staffing. The biggest challenge to market growth is the expense of OR solutions, which start at $250,000 and run as high as $2 million, according to GlobalData. Other estimates of costs are higher: Last year, ECRI Institute estimated so-called hybrid ORs cost between $1.5 million and $9 million. Sign up for our FREE newsletter for more news like this sent to your inbox! Hospitals challenged by rising health-care costs can struggle to make that kind of investment, the analysts suggest, especially in economically unstable European markets. And new operating-room technology already is changing surgery. At Williamsport (Pa.) Regional Medical Center, a robotic, multi-axis imaging system allows surgeons to perform both open and minimally invasive procedures in the same operating room. The imaging system also gives surgeons a detailed view of internal organs and reduces patient exposure to radiation. The hybrid OR saves money by reducing operating time and the need for patient transport, the hospital reports in an announcement this week. In a recent case, vascular surgeon Eric Adams, a vascular surgeon from the Susquehanna Health Heart & Vascular Institute, inserted a stent to open a patient's iliac artery, one of two major arteries to the lower body. 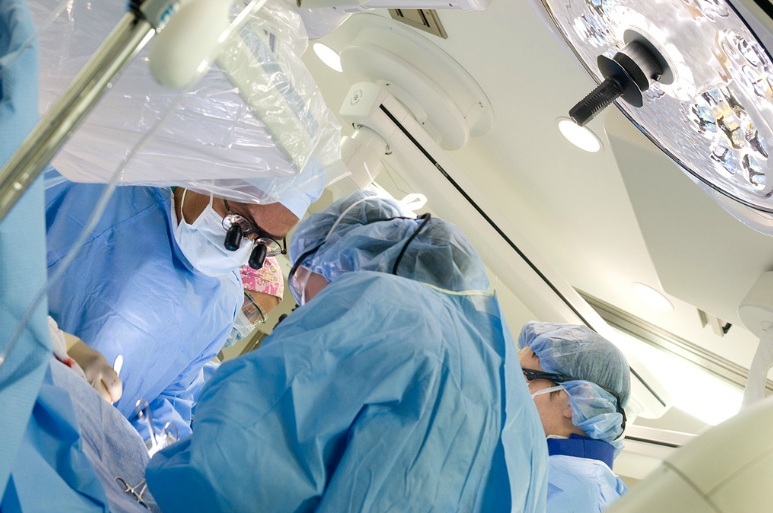 Vascular surgeons from Susquehanna Health’s Heart & Vascular Institute, utilized the new, state of the art hybrid operating room for the first time on Tuesday, June 26. The vascular surgeons performed an iliac stent surgery, a vascular surgery technique done to the iliac artery (the two major arteries coming from the aorta that carry blood to the groin and legs). An iliac stent is inserted into a blocked artery in order to widen and open the vessel and maintain blood flow to the groin and legs. The new hybrid OR, located in Susquehanna Tower at Williamsport Regional Medical Center, is an operating room which has permanently integrated diagnostic imaging equipment. This allows physicians to treat more complex aneurysms and other vascular cases. Traditional open and minimally invasive procedures can be done in the same room, reducing patient transport, shortening the length of procedures and providing better outcomes. 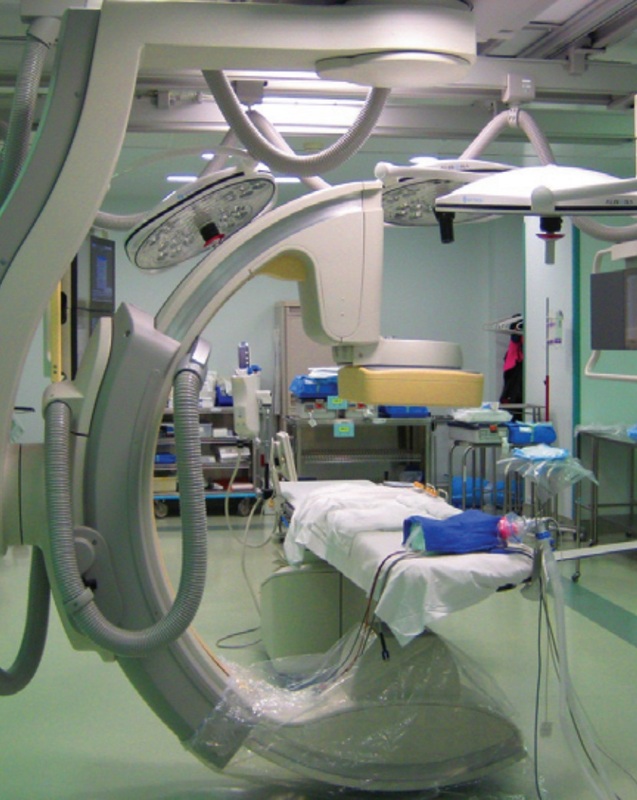 The operating room theatre is a combination of Skytron LED surgical lights, Skytron equipment and gas delivery booms, and the Siemens Zeego angiography system.